I get a lot of notes from beginners with very basic questions, and many of the questions boil down to needing to understand the jargon of CNC or needing to understanding how the pieces fit together. The vast majority of others need to get to the next level of detail and it’s not far out of reach. 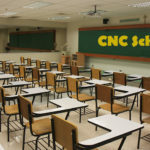 Let’s face it, CNC requires some understanding of a broad range of topics before you can be productive and there aren’t any good roadmaps all in one place out there to take you through those basics quickly. Since we have so much information that we give away for free here on CNCCookbook (something like 3000 articles last time I checked, and I add 3-6 more every week), I wanted to put together a good resource list for beginners to lean on in coming up to speed. You don’t need to read all of this information, but knowing where it is and skimming it enough to know which place to look the next time you have a question will be very helpful to you. There are a few things that are probably must-reads that I will call out as well. This article is one of those “How it all fits together” articles that can be so helpful in the early stages of understanding. It walks you through all the different types of software used with CNC, tells you what each type of software does, and how they fit together. The article is not too long and a good read through will fill in a lot of the blanks on exactly what people are talking about and which software you need now versus can wait on later or maybe even never. 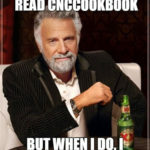 All of the really in-depth content on CNCCookbook, meaning content where there are multiple articles that all go together and get down into serious detail, live under the Cookbook menu at the top of every page. We call them “Cookbooks” and they’re part of our very name, CNCCookbook. The Feeds and Speeds Cookbook is a doozy. Tons of really valuable information there on how cutters behave when cutting. It goes well beyond just Feeds and Speeds and there are articles here for the brand new beginner to the most expert seasoned machinist. We talk everything from very basic stuff (even manual machining stuff) to really advanced stuff like Chatter and High Speed Machining. As a beginner, you need a solid foundation in the basics of feeds and speeds. You need to realize it isn’t a matter of “touch”, “feel”, “sound”, or anything too subjective–it’s science. Sure the Old Hands can tell when something is wrong subjectively, but no matter what they may claim, the only way to tell when things are really right, is to use science. To get that solid foundation, please read the articles in the Feeds and Speeds Cookbook in the section marked “Basics”. There are 7 articles, but they’re all short and easy to understand. Read one of them an evening if you like. When you get done, you’ll be a LOT further down the path to understanding how to use your cutters and make them last. Our CNC machines all (well nearly all, there are some proprietary “conversational” languages too) use a special computer language called “g-code” to tell them what to do. CAM Software companies and some machinists will tell you there’s no need to know any g-code–that’s Baloney! Regardless of whether you use CAM software, g-code is what your machine understands. All the CAM software does (you did read that first Digital Tooling article so you already know this, right?) is help you create g-code from the geometry in your CAD drawings. That’s no small thing, but the machine doesn’t know anything about your CAD or your CAM, it just knows g-code. If there is a hiccup of some kind in the CAM and you give the machine bad g-code, you’ll have a heck of a time understanding what went wrong if you can’t read the g-code just a little bit. Now here’s the good news: You don’t have to be a fancy high powered g-code programmer to know g-code well enough to make it a lot easier to get by. You could go through our whole G-Code Tutorial, and we’d encourage that, but you can really get a leg up with just a little bit of effort by reading a few of the key articles. Specifically, check out the articles under “Basics”. 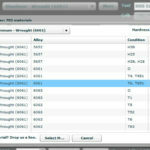 Play with the g-codes on your machine using MDI or with our own G-Wizard Editor. You’ll find it’s not hard–it’s kind of like machining with an Etch-A-Sketch. Or, as I prefer to put it, it’s like having a manual machine with power feeds and DRO’s on every axis. There, that’s not too intimidating, is it? You could get a lot done with a machine like that and never have to touch CAM or write much fancy g-code. In fact, working that way a little bit might just be a great way to transition from manual machining to CNC. 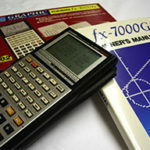 I’ll bet many of our seasoned readers didn’t know we offer a CNC Dictionary. There’s so much content here I never find time to promote all of it. But a dictionary of all the jargon with lots of little illustrations is a very handy thing indeed for a Beginner to have access to. If you come across a term you’re trying to understand and you don’t find it in the CNC Dictionary, drop me a note and I’ll add it, I promise. 3D Printers are extremely popular these days and we have an article series that is a great introduction to them. Be sure to check it out. 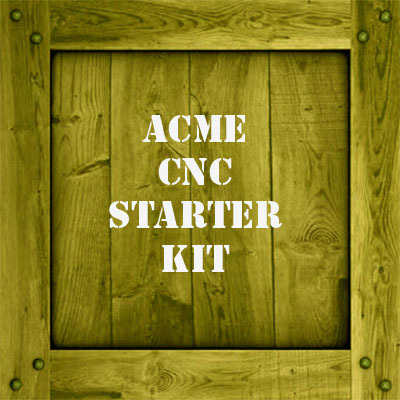 If you’re the sort that plans to build your CNC rather than buy it, this is the Cookbook for you. There’s tons of How-To articles as well as a detailed walkthrough of a CNC Conversion on an RF-45 mill we did. Scan through the titles on the home page. Check out the beginner stuff for a good overview. Then drill down on whatever interests you. 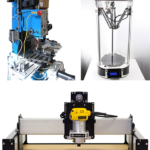 We have articles on everything from how to decide what kind of machine to build to how to eliminate backlash from the machine. Yeah, I know I said 6, but we’re all about giving away tons of good information here. Before you can actually run your CNC machine, you’ll need to understand tool length offsets. Basically, this is your way of telling the machine how long the tool is so it doesn’t inadvertently crash the dip too deeply into something like your shiny new machining vise. I’m not trying to scare you and it’s not hard, but it is one of the basics you want to know about. This article is the first installment in a two part series, so if you keep reading you’ll see how the experts manage these offsets too. I’ll bet you’re getting the idea by now that we have a lot more than just 6 good resources for beginners. As much as anything, I hope these pointers serve to get you started digging around in CNCCookbook for what you want and need. Take a look at all the Cookbooks we have available on the Cookbook menu. Get over onto our Blog and scroll down. In the lower left column you’ll find a list of article categories. One is for Beginners. Give that a scan. There’s introductory material on all sorts of topics. Be sure to sign up for our weekly blog newsletter. We’ll give you a weekly digest via email that shows just the first paragraph of any new blog posts we publish for that week. It’s a quick way to scan and see what might be worth reading more fully. It’ll keep your toe in the waters of CNC and stimulate your interest in new topics. We have over 2.5 million visitors a year to CNCCookbook, so we’re the most popular CNC blog there is by a wide margin. BTW, we’re giving away all our software to the lucky winner of our sweepstakes, and all you have to do to enter the sweepstakes is sign up for the newsletter on the sweepstakes page. Don’t miss out on that, as a beginner, you could make good use of all that software! 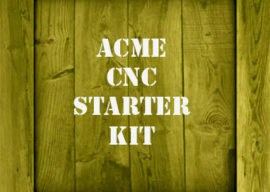 Good Work Bob, this is one of the best list for CNC beginners I have read so far!